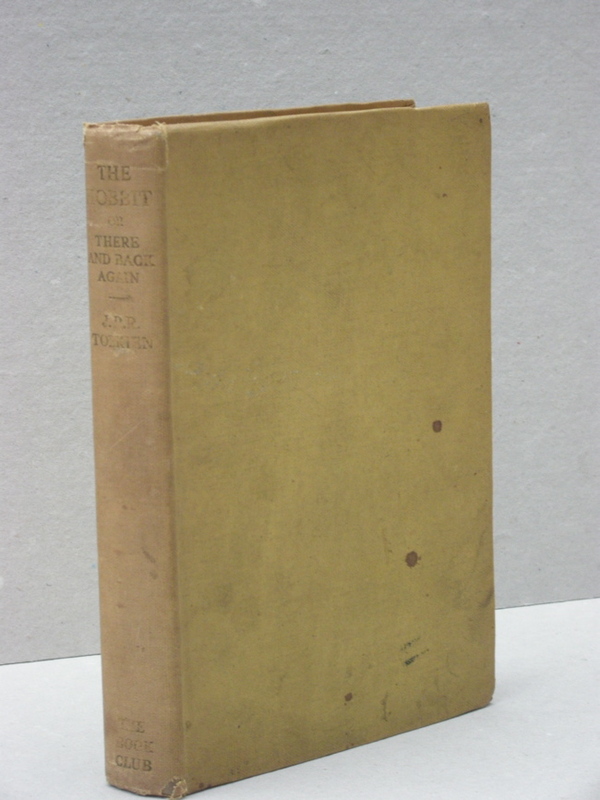 #CLP0040 - 1942 Book Club Hobbit with Facsimile Dustjacket - € 1250,- One of 3000 copies of the 1942, 1st Edition 3rd impression, printed for the Children's Book Club of the bookseller Foyles, from the Allen & Unwin plates. 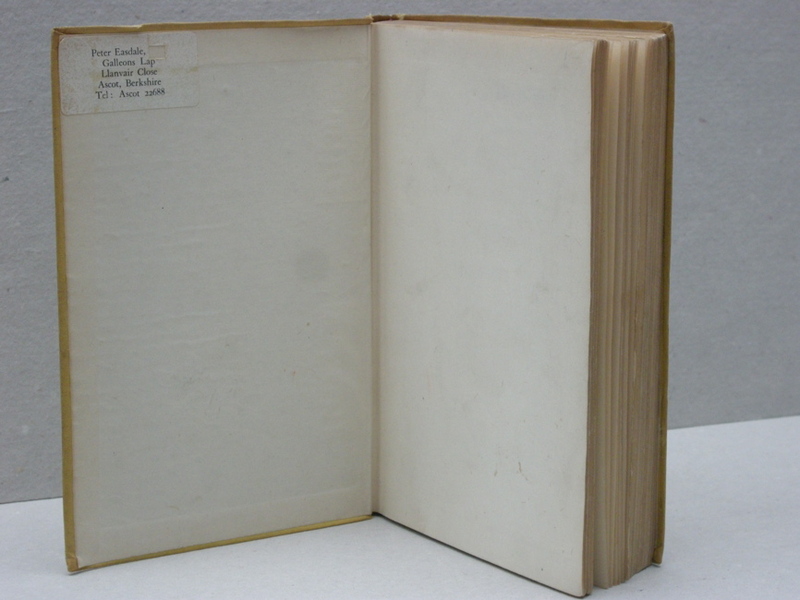 One of 3000 copies of the 1942, 1st Edition 3rd impression, printed for the Children's Book Club of the bookseller Foyles, from the Allen & Unwin plates. 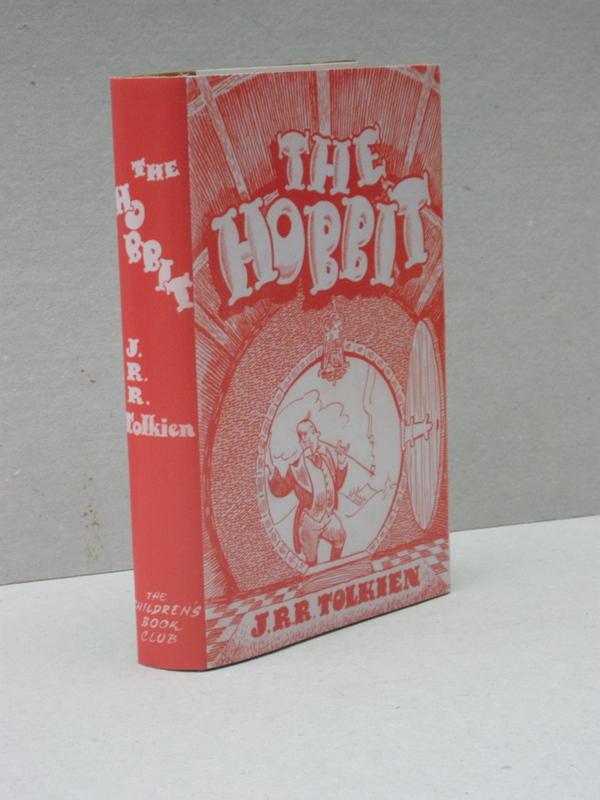 Bound in yellow, gilt-stamped cloth over boards, with a facsimile dust jacket (which Tolkien thought hideous) in orange and white, featuring a cartoon of a dandified hobbit smoking a pipe. Tolkien commented, "Surely the paper wasted on that hideous dust-cover could have been better used." A scarce and desirable copy for the collector. Shows signs of handling and age, but any book which was produced under ‘war economy standards’ suffers from this. 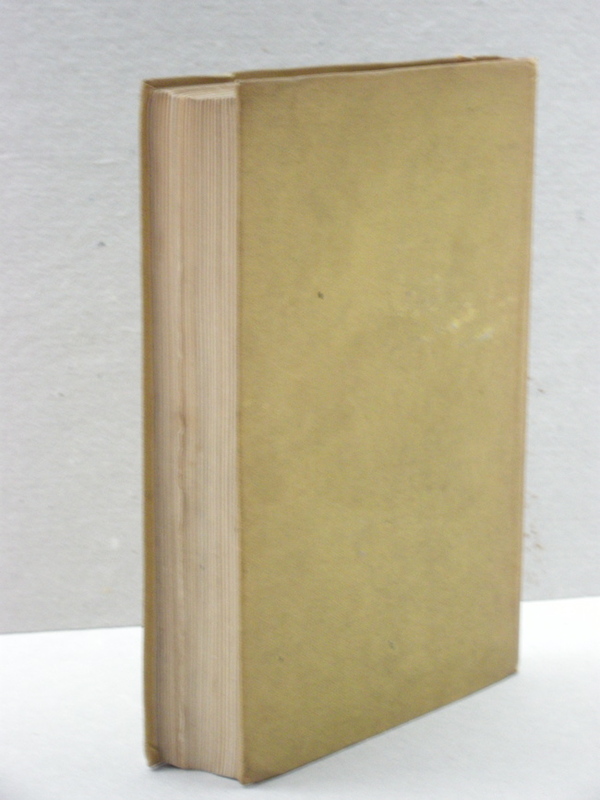 The yellow boards have some stains and show rubbing to the spine, the top and bottom corners of the spine have been bumped. Small previous owner sticker inside. No foxing or offsetting to any pages. 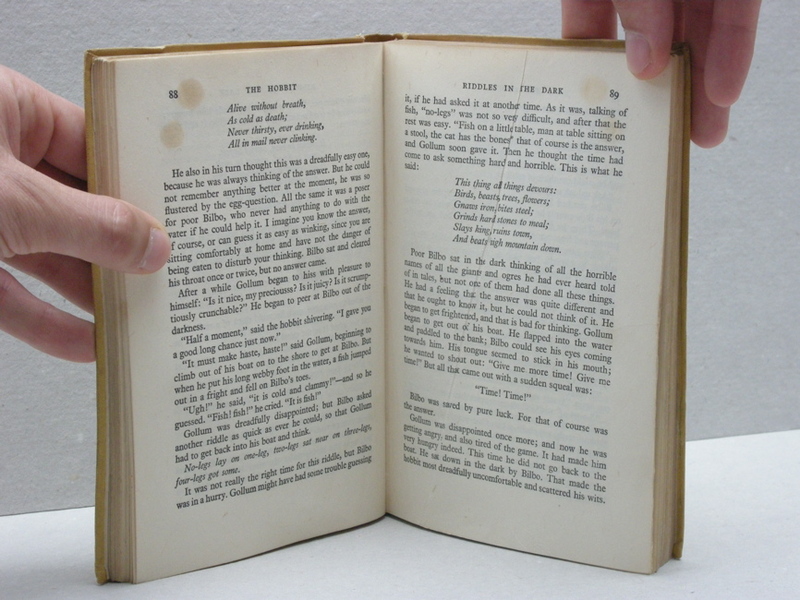 One page has been wrinkled (page 90). Features the "Book Production War Economy Standards" title verso, 'This Edition published 1942 by arrangement with George Allen & Unwin'. 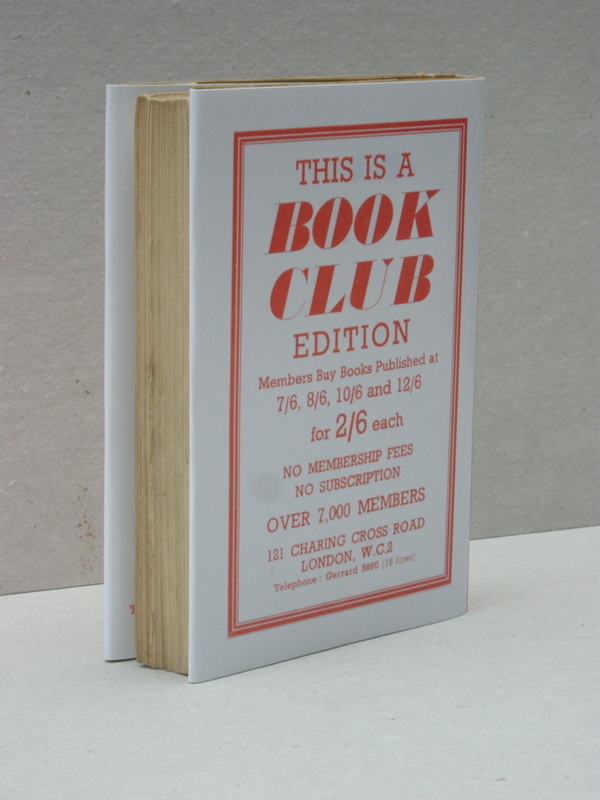 The dustjacket is a high quality reproduction of an original jacket. Has had no restoration or repairs. A beautiful copy of one of the rarest Hobbits.